The Soča Valley is one of the most popular destinations for European tourists seeking adventure. Why? The main reason is definitely the Soča River offering countless activities on, in, around, and above the water. There are several great ways to explore the beautiful nature, the best of them might be those that combine adventure with adrenaline! Kayaking is the best choice for those that are familiar with kayaks and rivers. The Soča River is convenient and overall well suited for kayaking, allowing for unforgettable views as well as a thrilling adventure. Soca River Kayaking can be a part of an organized expedition, which is great for beginners and groups, but can also be undertaken as a solo expedition which allows for more freedom in exploration. 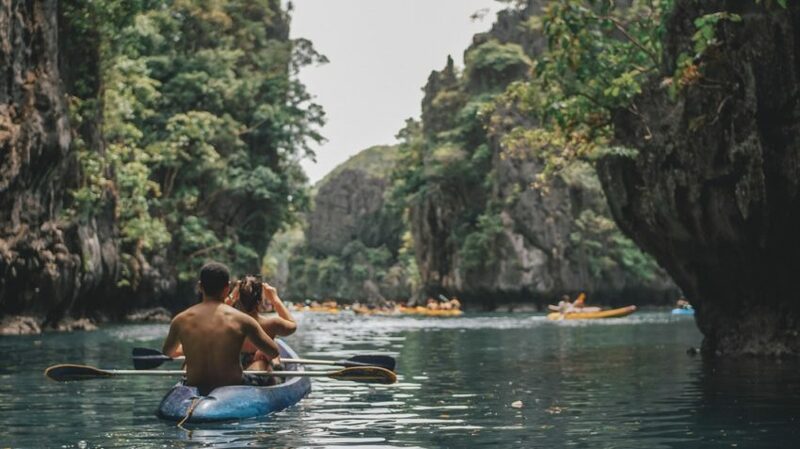 There’s no wrong way to do it, Soca River kayaking guarantees an adventure in every case. It is good to know the specifics of the river, though, as it can be dangerous in places. For rafting, Soča is just as accommodating. Based on the popularity of this activity, the Soča Valley is the perfect destination for those seeking a thrilling expedition on a raft. Not only that, but for rafting Soča offers a wide variety of possible experiences, depending on the length and location of the activity. If you’re into peaceful exploring of the river and its surrounding, the best choices are found in the lower part of the valley, where the river becomes wider and slower. For lovers of adrenaline rafting, Soča offers many wild parts with white-water rapids, drops, and other obstacles. Even such journeys are sure to impress with scenic views, though, so you don’t have to sacrifice anything. Or, try the various options and evaluate the available experiences yourself.